Dropbox continues to impress me. It allows you to sync your files online and across your computers. It is for Windows, Mac and Linux. Not to mention they have an excellent iPhone app. ( And also iPad, Blackberry and Android apps. ) Sync is done automatically and without you having to think about it. It just works. Try it and you will be hooked. Having used Dropbox since the beta back in June of 2008, I can say the service has definitely grown. In that growth has been the extension or integration of Dropbox into other apps and services. These are just a few of the uses I’ve come to love. For web design projects I have a “Clients” folder within Dropbox. Each client has their own respective folder. For instance, if I am working on a Ruby on Rails eCommerce project I can share the project folder with a Ruby developer. Or share a sub-directory “Documents” folder with the Client. This makes working remotely a breeze. One of my favorite tools. 1Password is effortless password management for Windows, Mac, iPhone, iPad and Android. Over the years they have used different solutions for syncing. 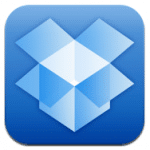 ( Mobile Me, their own solution, etc… ) Now the software has an option for Dropbox sync. And it works great. Authenticate with Dropbox in the Mac App and it creates a backup. Then when using the iPhone App, go to Settings, activate Dropbox sync and it will instantly start populating the app with the password data. Easy and instant updates no matter what your connection! Ever need to take a screenshot of a full website layout? Want to keep a collection of sites that inspire you? If so then Little Snapper is the tool for you. And with Dropbox you can keep your entire Little Snapper database in sync across all of your computers. Simple as updating your preferences to use a sub-directory in the Dropbox folder. This is one of my favorite and most used techniques. The Dropbox iPhone app has a myriad of uses. For a quick way to transfer your photos to your Mac from anywhere do the following. Create a new folder with the app, select the photos on your phone and the app will upload them and sync across all of your devices. Instantly on my Mac! Works the other way around too. I’ve also used this for PDFs as well. You can email a link to a PDF. Or you can open a PDF with iBooks or Evernote. From there you can email the actual file, print it, etc. Such a great way to grab a file never having to worry if you forgot something. In a previous post I mentioned Simplenote which is a great tool for taking notes. It syncs with the web, computer and mobile devices instantly. Taking that one step further Notational Velocity, Mac client for Simplenote, allows you to store your settings in Dropbox. Go to its Preferences and create a folder under your Dropbox directory. That way if you have a laptop and a desktop computer your Notational Velocity preferences will be the same across all of your computers. There is even a WordPress plugin, Dropbox CDN, that allows you to use Dropbox as a Content Delivery Network. You add your theme files to your Dropbox public folder thus reducing the bandwidth consumed on your server and producing faster load times. As you can see uses for Dropbox are abundant. For more ideas visit the Dropbox App Directory.